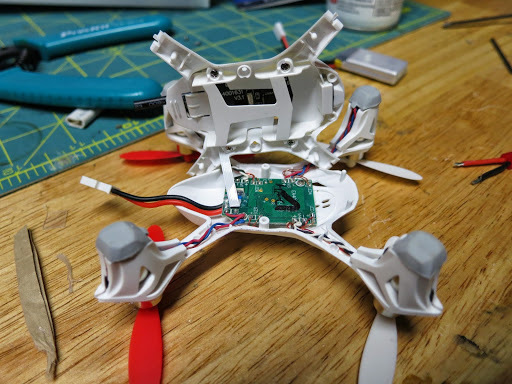 I recently got a Hubsan X4 FPV kit. 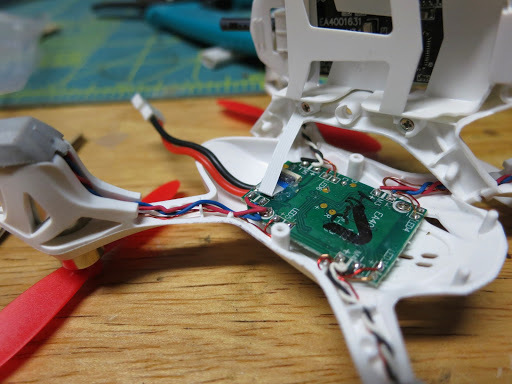 After the first flight I took it apart to find out…”why is this so HEAVY?!”. It comes apart with just a few screws on the bottom. The arms are snapped together so just un-snap the top and bottom halves. Comes apart very easily, but watch out for the ribbon cable which still holds the two halves together. I’ve added a wide angle lens to the camera with 3M extreme outdoor mounting tape. 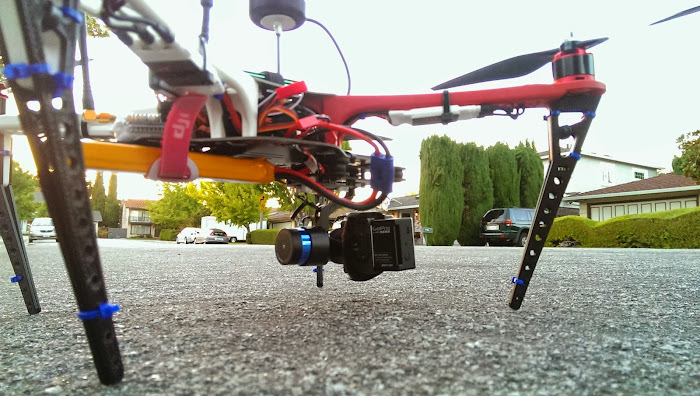 This makes the quad much better for FPV, the standard camera field of view is way too narrow. What’s the tradeoff? Well now it’s even heavier than before! Really difficult to control compared to the featherweight Nano QX. After losing my first F450, I had the opportunity to rebuild. After reading reviews, I decided to use the Tarot 2-Axis gimbal instead of the Beholder-Lite, which I used on my first quad. The Tarot was more difficult to mount to the F450 bottom plate. I had to 3D print an adapter plate, luckily someone had already designed such a plate on thingiverse. Wiring the motors to the control board was simple enough. The difficult phase was figuring out how to get manual pitch control working. I found this youtube video from ThatHPIGuy, very useful. I still haven’t gotten position mode to work for manual pitch. So far I have only flown with rate control, which is difficult when I am trying to fly line of sight. The gimbal itself works great and I believe it has a larger maximum roll angle compared to the Beholder Lite. 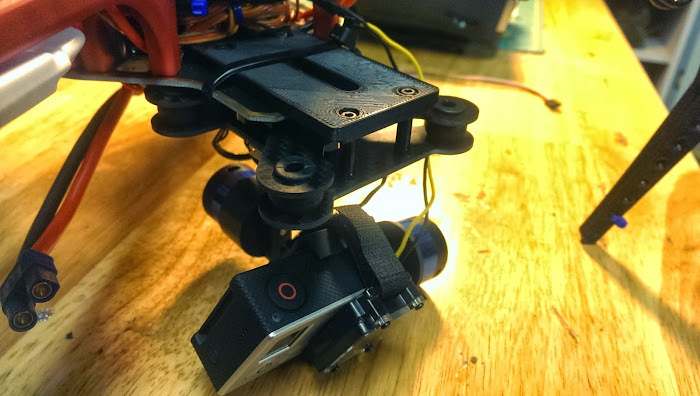 Both seem to be great gimbals. If you purchase the Tarot, be sure to add the USB cable. 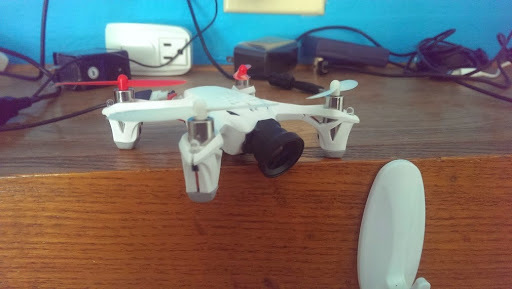 This DOES NOT come with the gimbal, and you really need it if you want to fly more than 30 min with a GoPro Hero3.